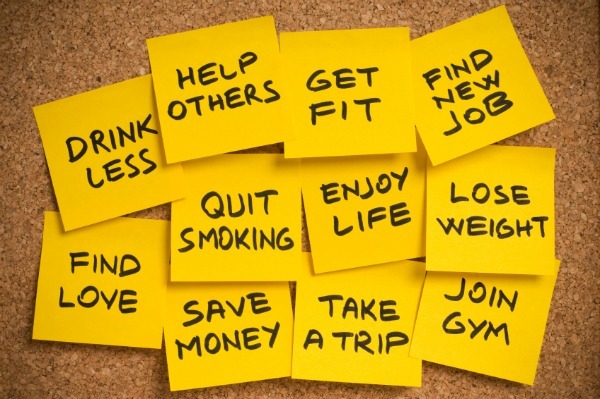 New Year’s resolutions are great for reflection and change. But you don’t have to wait for another whole year to set goals for yourself and feel motivated to achieve them. Sometimes a new season can welcome new beginnings. Advice, positive criticism, an outsider’s perspective — they’re all extremely important, but nothing beats self-reflection. We all set mini goals for ourselves on a daily basis without realizing it: finishing up a book, doing the laundry, spending quality time with our families. And then we have longer-term goals: losing weight, practising more eco-friendly living, quitting smoking, publishing a book. We all have wants and desires. And in order to be able to achieve them, we need to reflect and turn our desires into achievable goals. New goals for spring do not necessarily have to be spring-related. As a matter of fact, they need not be new goals at all. Think about your long-term goals and try breaking them down into more achievable short-term goals; then, use springtime as your timeline for completing the first step. (It is always easier to reach the finish line when it is visible and close!) Reaching your goals for spring will give you that push to keep on going. Even if you feel comfortable with the progress you’ve made on the resolutions you’set at the beginning of the year, spring can be a good chance to assess where you stand. Perhaps you need to challenge yourself a little bit more and add more goals. A new beginning and a little bit of sun is all we need sometimes! Jumpstart your New Year’s resolution — now!